Today, it’s just a parking space.... But what could it be? Every September, people around the world turn metered parking spaces into “PARK(ing)” spaces for one day: temporary parklets, creative interventions and social spaces. 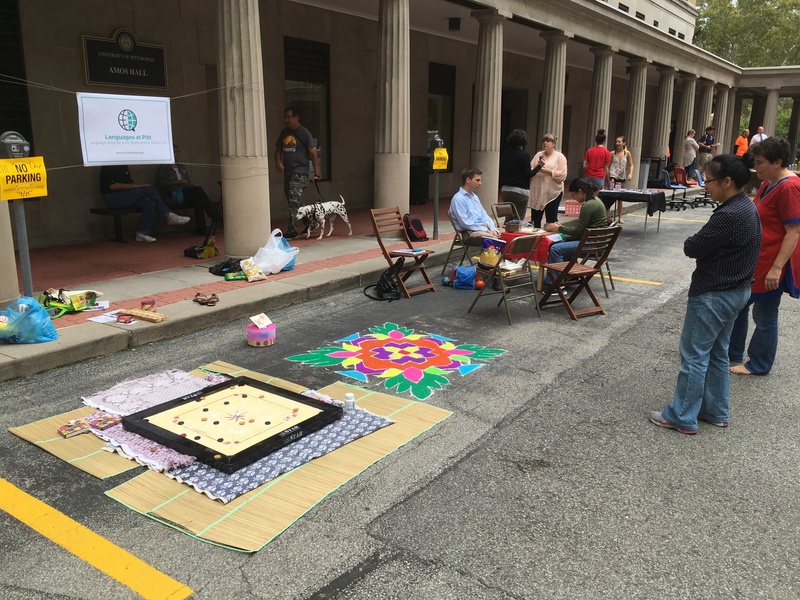 For two years now, Pitt's Center for Creativity and Department of Parking, Transportation, and Services have teamed up to sponsor a University PARK(ing) Day event. 20-25 centers, departments, and student organizations take part, turning parking spaces into gardens, art studios, performance spaces, and more. Planning for 2019 is underway, and we want to start spreading the word, and the fun! Join us for an information session to find out just what PARK(ing) Day is, see examples of creative transformations, meet and share ideas with other Pitt creators, and learn about how your group or department can take part this fall. If PARK(ing) Day sounds cool, and you think your department, center, office, or organization might be into it, but you're not sure how or where to start, this session is for you! We're can offer you all the information, advice, and pizza you need to get started. Food and drink provided! Register for the session that fits your schedule! Session A Thursday, Apr. 18 | 12:30-1:30 p.m. Session B Friday, May 10 | 12:30-1:30 p.m. These year-long, paid internships through Pitt Athletics are a great opportunity for students to gain valuable hands-on experience in the fields of broadcast, post-production and broadcast engineering. In 2018-19, they hosted three internship positions and had amazing success. This year, they are doubling to six paid positions. The ACC Network Broadcast Assistant helped produce ACC Network Extra broadcasts, and received direct feedback from ESPN on his play-by-play commentary. The Broadcast Engineer Assistant has been responsible for technical operations during ACC Network Extra broadcasts and worked alongside NEP Group engineers. The Pitt Studios Assistant filmed during the NCAA Volleyball tournament and created original content from the Pitt Studios set. New for this year is a ACC Network Operations Assistant, which is a great position for students interested in the business side of broadcast and production. The ACC Network Production Assistant will fill a crucial role in Pitt Athletics’ Broadcast and Video Production department, highlighted by the opportunity to work inside the Petersen Events Center in a newly renovated, state of the art broadcast facility designed for the launch of the ACC Network. The student will learn valuable skills in live sports production, operation of broadcast equipment and proper communication practices in a broadcast environment by acquiring hands-on experience during ACC Network broadcasts. Additional responsibilities will include serving as a secondary contact for broadcast-related communications, and assisting the full-time broadcast staff in the day-to-day operation of the ACC Network. The Athletic Department will also work with the student to coordinate a site visit with an industry partner, in order for the student to gain valuable job shadow and networking experience. Experiences gained as the ACC Network Production Assistant will put the student in an advantageous position to earn professional placement after earning their degree. This paid position is staffed for the length of the academic year (September-April) for up to 20 hours per week, with hours being spread across live events and weekly office hours. Preferred candidates are rising sophomores and juniors who have a basic knowledge of sports and would be open to working nights, weekends, select academic breaks, and past the scheduled conclusion of the academic year. Interested students should send a resume and cover letter by March 29th to: ACCNetwork@athletics.pitt.edu. In the subject of the email, write the name of the position to which you are applying. If you are not interested in a year-long position, but would like to know how to get involved in the ACC Network, please email ACCNetwork@athletics.pitt.edu for more information. The ACC Network Operations Assistant will fill a crucial role in Pitt Athletics’ Broadcast and Video Production department, highlighted by the opportunity to work inside the Petersen Events Center in a newly renovated, state of the art broadcast facility designed for the launch of the ACC Network. The student will learn valuable business and communication skills by assisting with ACC Network budget management, payroll, crewing and logistics. Additional responsibilities will include assisting in live broadcast productions for the ACC Network. The Athletic Department will also work with the student to coordinate a site visit with an industry partner, in order for the student to gain valuable job shadow and networking experience. Experiences gained as the ACC Network Operations Assistant will put the student in an advantageous position to earn professional placement after earning their degree. The Broadcast Engineer Assistant will assist the Director of Broadcast Engineering with broadcast technology throughout Pitt athletic facilities, such as the Petersen Events Center, Fitzgerald Field House and Petersen Sports Complex. The student will learn valuable broadcast engineering skills through hands-on experience during ACC Network broadcasts. Specifically, the student will learn how to operate broadcast transmission equipment, how to trouble-shoot technical issues, and will assist with engineering during live broadcasts. The Broadcast Engineer Student Assistant will have the opportunity to network with ESPN during training sessions and work with other apprentice engineers. The Athletic Department will also work with the student to coordinate a site visit with an industry partner, in order for the student to gain valuable job shadow and networking experience. This paid position is staffed for the length of the academic year (September-April) for up to 20 hours per week with hours being spread across live events and weekly office hours. Preferred candidates are rising sophomores and juniors who would be open to working nights, weekends, select academic breaks, and past the scheduled conclusion of the academic year. 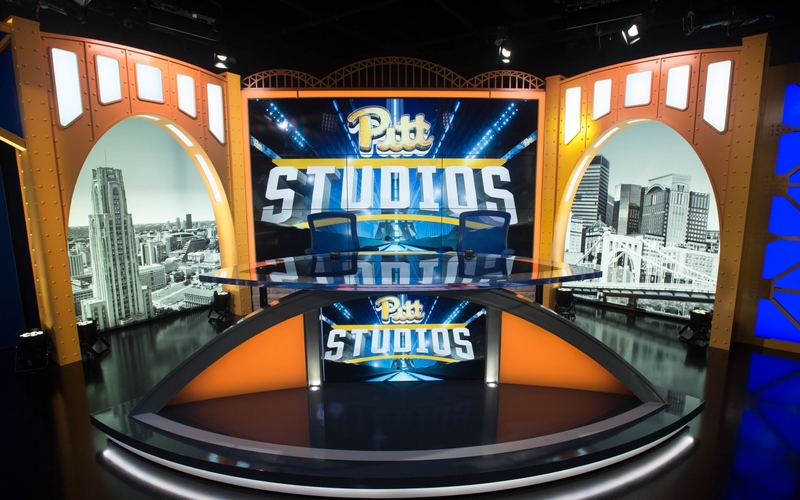 The Pitt Studios Assistant will work with the Pitt Athletics’ Director of Broadcast & Video Production on original content creation for various sports including football and basketball. Highlighted by the opportunity to work inside the Petersen Events Center in a newly renovated, state of the art video editing facility, the student assistant will have the opportunity to shoot and edit various video packages, manage digital media, assist in live and on-location studio productions and social media content. The position will also allow for participation in game day productions. The student assistant will gain valuable experience with professional cameras, Adobe Creative Suite, and top of the line production equipment. The Athletic Department will also work with the student to coordinate a site visit with an industry partner, in order for the student to gain valuable job shadow and networking experience. This paid position is staffed for the length of the academic year (September-April) for up to 20 hours per week, with hours being spread across live events and weekly office hours. Preferred candidates are rising sophomores and juniors who would be open to working nights, weekends, select academic breaks, and past the scheduled conclusion of the academic year. Requirements for this position include: proficient in Adobe Creative Suite, specifically Adobe Premiere; basic knowledge of video and DSLR cameras; basic knowledge of video production techniques; ability to carry equipment varying from 25-50 pounds. Virginia Tech and the Smithsonian’s National Museum of American History present the first annual ACCelerate: ACC Smithsonian Creativity and Innovation Festival on October 13-15, 2017. The festival, programmed by Virginia Tech’s Institute for Creativity, Arts, and Technology and the Museum’s Lemelson Center for the Study of Invention and Innovation, is a three-day celebration of creative exploration and research at the nexus of science, engineering, arts, and design (SEAD). Visitors to the festival will interact with innovators and experience new interdisciplinary technologies developed to address global challenges. The event is free and open to the public. The ACCelerate festival will be an opportunity for all ACC schools in partnership with the Lemelson Center to showcase their work to the public, each other, students, alumni, companies, legislators, and invited guests from the nation’s capital. 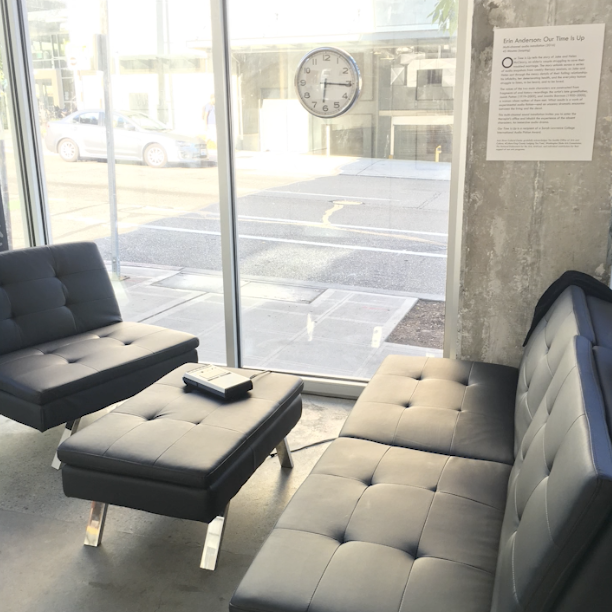 The Center for Creativity is proud to present Erin Anderson's Our Time Is Up at the inaugural ACCelerate festival. This multichannel sound installation tells the story of Jake and Helen McCleary, an elderly couple struggling to save their troubled marriage. The story unfolds across a series of weekly therapy sessions in which Jake and Helen sort through the messy details of their relationship. Unlike a conventional audio drama, the characters’ voices are constructed from fragments of oral history recordings of two people who have died—and who never met. Using a manual process of concatenated speech synthesis, the archival voices have been digitally disarticulated and recombined to create a new, fictional story and an uncanny encounter between living and dead, human and machine.